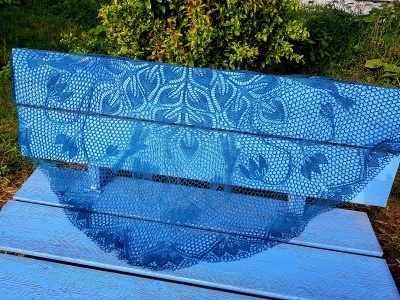 This shawl is simply stunning. Please be sure to get your pattern directly from the designer on her Ravelry page here. What we offer is some gorgeous yarn for knitting it. The shawl itself is knit top-down, with a 5 sts border on each side. The borders are knitted in Garter st. (always knit). 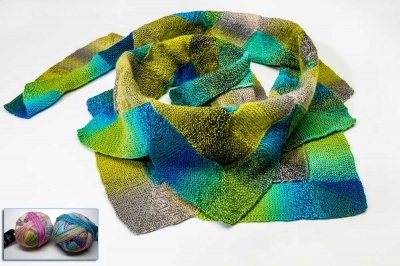 We do not offer in our kits the same yarn that Inbar used in her original. 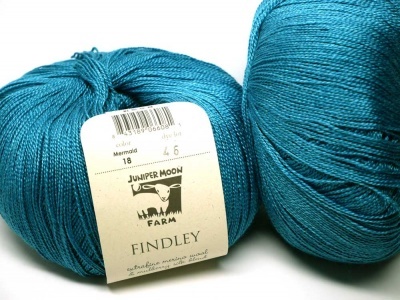 We have put together kits in Findley from Juniper moon Farm, a lovely 50% wool/ 50% silk beauty with 798 yards per 100g ball. 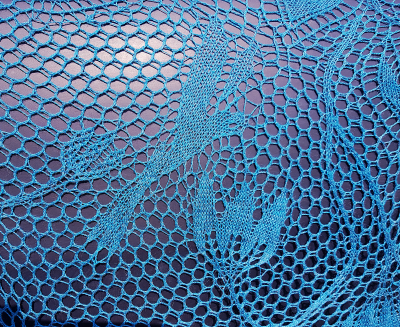 Inbar suggests about 875 - 984 yards (800 - 900 m) of lace weight yarn for this. As one ball of Findley is a bit shy of this amount each kit will include two balls. If you would prefer to take your chances and want a kit with only one, just contact me and I'll set that up for you. 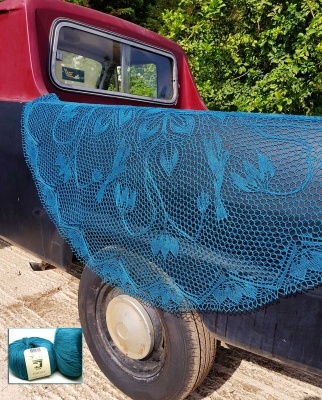 The colorway is Mermaid, a perfect solid teal that will look awesome in this piece.